Drivers who are in search of an efficient yet sporty, stylish, and reliable ride don’t have to look any further than the preowned 2016 Honda Civic Coupe available at Patty Peck Honda, our Honda dealership serving Jackson. You’ll be sure to rule the road in a fun to drive coupe that makes every trip behind the wheel enjoyable. Drivers have the option of two powertrains under the hood. Shoppers in the market for the lower trims will be powered by a 2.0L i-VTEC® engine, but prospective buyers can choose the available 1.5L turbocharged engine, which has you feeling the need for speed as it delivers 174 horsepower. When it comes to transmission options, the Civic offers a six-speed manual transmission or a Continuously Variable Transmission. Combine all of that together and you get a ride that provides you with the juice that you need to lead the pack, while keeping you ultimately fuel efficient. The 2016 Honda Civic Coupe near Jackson was redesigned for the model year. It sports a bold front fascia, fast-back profile, and sharp-edge detailing, as well as a longer wheelbase and wider stance. It benefits from the lower seating position of its new platform, which helps to amplify the Coupe’s dynamic driving character. Inside, the cabin grows by 8.4-cubic feet, offering more space for passengers to get comfortable. With refined options like the heated front seats, acoustic glass windshield, and the LED daytime running lights, drivers have the amenities they need to elevate their drive. Inside of the used 2016 Civic Coupe, drivers will enjoy state of the art feautres features when it comes to audio and connected-car technology. In addition to Apple CarPlay® for iPhone users, the Civic now features the new Android OS-based, seven-inch display audio system compatible with Android Auto and Apple CarPlay®. Among entertainment options are SiriusXM® Satellite Radio, Pandora® Internet Radio, and HD Radio. Prospective buyers can also opt for the available Honda Satellite-Linked Navigation System that makes traveling between destinations a breeze. This Honda Civic Coupe was built with the Honda-exclusive Advanced Compatibility Engineering Body Structure and that means that you get wrapped up with the security that you deserve. Combine that with the Honda Sensing Suite that provide a watchful eye as Honda drivers near Jackson are well covered. Add in the advanced airbag system and you can hit the streets with the confidence that you’re in good hands in the event that the unthinkable occurs. We can’t wait to get you behind the wheel of a used 2016 Honda Civic Coupe today! 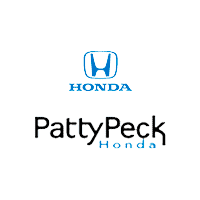 Come on in to our Honda dealer serving Jackson for more information or feel free to contact us at (601) 957-3400. 2016 Honda Civic Coupe MSRP pricing on all trims include $835 destination charge, excluding tax, license, registration and Doc Fee.